With direction and guidance from the Leadership Team, the FASD Network Coordinator assists with the development, enhancement, and coordination of the FASD Network. If you have any questions about services offered by the NW Peace FASD Network, or how your agency can apply to receive funding from the Network contact the Network Coordinator. The Clinical Coordinator position leads the multi-disciplinary team in meeting the standards required in FASD Assessment and Diagnostic Services. The mobile clinic travels around the entire NW region with clinics being held in Peace River, Grande Prairie, Grande Cache and High Prairie. If you have questions about the Diagnostic process or would like to make a referral to the clinic please contact the clinic coordinator. Kim is the general contact for the Network. If you have questions about upcoming FASD trainings and workshops, please contact Kim to be invited to our FASD website/blog. She assists with supporting the funded community agencies with contract reporting and with the Provincial Government data collection tool. You can contact her with any questions and she will guide you in the appropriate direction. 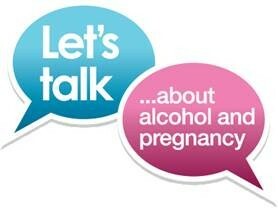 This unique initiative is set up to increase awareness and prevention of FASD in NW Alberta. The Prevention Facilitator is available to educate front line workers about the various aspects of FASD, and to participate in the FASD Prevention Conversation; to appropriately engage women about the use of alcohol during pregnancy within a shame-free framework. Please contact Grace or Leanne for small or large group learning sessions. This position plays a crucial role in providing information, referrals and access to services for clients who have been diagnosed or are suspected of Fetal Alcohol Spectrum Disorder (FASD). This role works closely with the Northwest FASD Diagnostic team and the clients and families involved in the diagnostic process, connecting families to supports within their specific communities. If you have questions about community supports or services for individuals which are suspected or diagnosed please contact the Network.